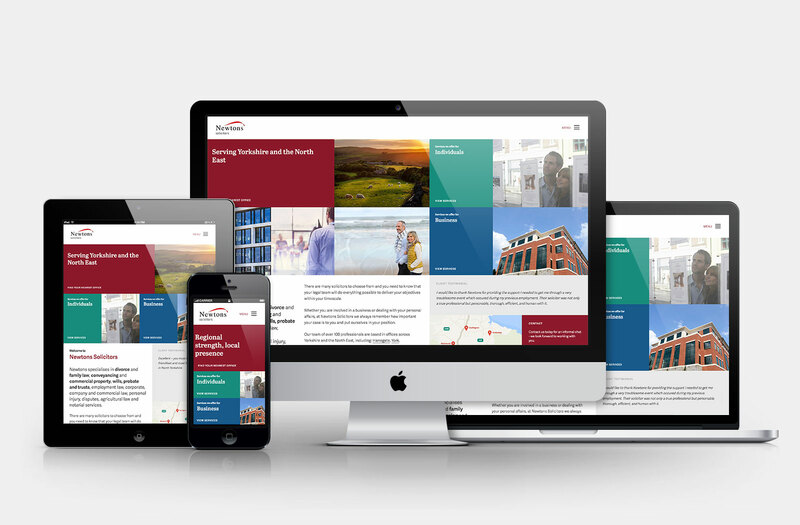 Newtons commissioned us to review their existing website and search engine performance. Previous analytics and visitor behaviour, user experience and calls to action all informed the new design we created for them. The website serves both their private and business clients effectively. Based on a content management solution, the new site is, of course, responsive and provides a great platform for search engine optimisation. Newtons Solicitors serve both private and corporate clients from eleven locations throughout Yorkshire and the North East. They specialise in divorce and family law, property, wills, probate and trusts, employment law, company and commercial law, personal injury, disputes, agricultural law and notarial services.